After being involved in a automobile accident, speaking to a lawyer is not likely your first thought, but you overlook the importance of talking to a lawyer at your own peril. No one is particularly thrilled about having to file a claim because no one wants to be injured, or deal with the resultant red tape to collect damages for property damage and personal injury. Many injured victims nonetheless choose not to seek counsel. 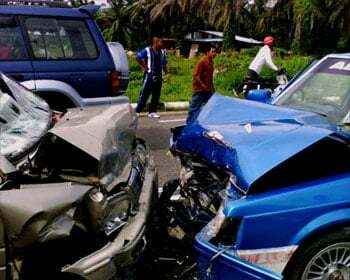 In fact, the majority of people who are hurt in a car accident do not think to make a claim for money damages. A recent, peer-reviewed study conducted by researchers from the University of North Carolina School of Medicine, published in the medical journal, Pain, found that, among the 91 percent of car accident victims who were observed at 6 weeks after their motor vehicle accidents, 83 percent did not contact a lawyer. Importantly, the study concluded that it was common for injured victims not to engage in litigation, despite persistent complaints of pain and lingering injury. Unfortunately, these statistics do not surprise attorneys, as injured victims face numerous roadblocks before realizing that they may be entitled to fair compensation for their injuries. There is a false perception, often fueled by insurance companies, that injured car accident victims are malingerers or are not as seriously injured as they claim. That thinking arises from by the insurance company’s bottom line objective: profit. When, as shown in the Pain article, a significant number of injured victims do not seek compensation for their injuries, insurance companies make greater profits. Meanwhile, your injury may cause you to miss work, or has caused your work performance to suffer. To make matters worse, you will probably have to spend money that you don’t have on hospital and medical bills, or deductibles. All of these damages can be recovered from the “at fault” driver’s insurance company! In Pennsylvania, insurance policyholders pay higher premiums for their “full tort” auto insurance coverage so that they obtain monetary compensation from another driver’s insurance company for their non-economic damages (pain and suffering, loss of life’s pleasures, emotional distress, and disfigurement). Collect your money from the insurance company. Is There an Auto Accident Attorney Near Me? This is usually not an easy process for a lay person to navigate without the assistance of a lawyer. On the other hand, legal consultation is free, confidential, and easy. Calling an attorney does not commit you to filing a lawsuit. An attorney will not always recommend that you sue the other driver in a motor vehicle accident. In fact, a lawsuit is not necessarily always the best option, and many claims can be resolved out of Court, before a lawsuit is even contemplated. But the dizzying pace of events in the aftermath of an automobile accident, compounded by the financial and emotional stresses, is good reason to reach out to an attorney sooner rather than later. The insurance companies’ employees think of “fairness” in different terms than you and I, and an experienced insurance adjuster will not negotiate down to your level, if at all, when s/he feels that your claim can be “settled on the cheap.” Remember, insurance adjusters have settled claims before, much more often than you have. More Pennsylvania drivers should talk to an attorney after they are injured in a car or truck accident. The Pennsylvania Department of Transportation recently released automobile accident statistics for Pennsylvania drivers from 2012. The statistics were staggering. In 2012, more than 120,000 people were injured in automobile accidents across Pennsylvania. More than 85,000 people were injured, and 1,310 people were killed in these accidents. To put that into perspective, using statistics from 2012, 1 out of every 44 citizens is involved in an automobile accident each year. Our attorneys represent catastrophically injured clients across Pennsylvania and New Jersey. If you, or a loved one, have suffered an accident or injury, you should reach out to the best personal injury lawyers to protect your legal rights. The attorneys at McLaughlin & Lauricella’s Philadelphia office have more than 68 years of experience and will provide you with aggressive representation of your legal rights, in, and out of the courtroom. Our team has the experience, resources, and skills necessary to get you the compensation that you deserve. Please call us at 215-568-1510 or contact us by email, to see what we can do for you.